Records continue to be broken each year as runners/walkers from across the southeastern United States participate in this official Mississippi Track Club Grand Prix Event. A $500.00 CASH AWARD will be awarded to male and female runner that breaks the all time course record. The male course record is 15.03 and the female record to beat is 18.15. Numerous awards will be presented in age group order, including $100 cash prizes for the overall male and female winners in the run and walk and $50 to Masters and Grand Masters winners. Profits from the race go toward scholarships for local high school students as they pursue higher education and other worthy projects in the community. The Run for the Roses attracts runners and walkers from across the United States. 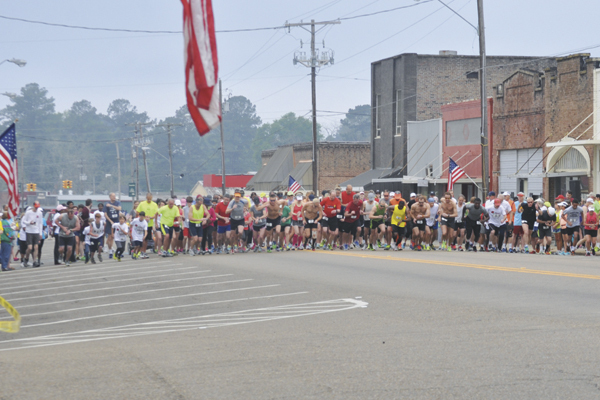 The number of years this event has existed is a testament to the love of running in south Mississippi. The walking division provides competition for individual and team walkers. The one-mile run/walk is a favorite of local and visiting youngsters as well as adults of all ages. The event begins in downtown Prentiss at what is known as the Gateway to the Longleaf Trace. This 41-mile paved trail begins at the Longleaf Trace Park and continues to the end in downtown Hattiesburg. The trail portrays nature at its best as it meanders through beautiful forests, crosses live streams and passes scenic small lakes. There is no charge for trail use. It is available for runners, walkers, rollerbladers, cyclists and wheelchairs. An equestrian trail is parallel to the paved trail and begins in Carson, extending 23 miles to Epley. A new addition to the trail is the extension to Jeff Davis Lake, which has been fully renovated. 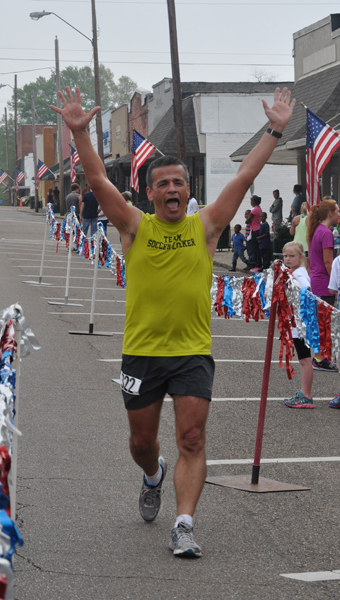 Finishers will receive a race t-shirt, beverages and Polk’s Meats Old World Polish Sausage sandwiches. And to honor an annual tradition, all female finishers receive a long-stem red rose as they cross the finish line.